Well there's this luxury carmaker from Sweden that is often overlooked in the Indian automotive landscape, partly because of the large shadow cast by the success of its bus division, and partly because of its small distribution and service network. But Volvo has always had some excellent products that have introduced the global automotive industry to some significant technologies. The new XC90 is one such example - which the company claims is its current production magnum opus. So we descended upon the twisties of the Montserrat mountain range in the Catalonian region of Spain to find out what the new XC90, Volvo's flagship SUV has to offer. 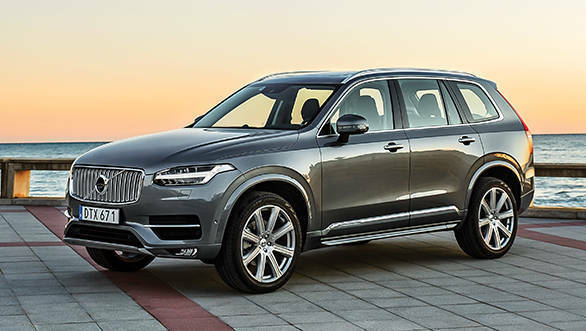 Volvo's fresh new design philosophy has gathered a lot of appreciation from the international media, and the new XC90 carries forward that ethos. In fact, it was also nominated for this year's World Car Design of the Year award. 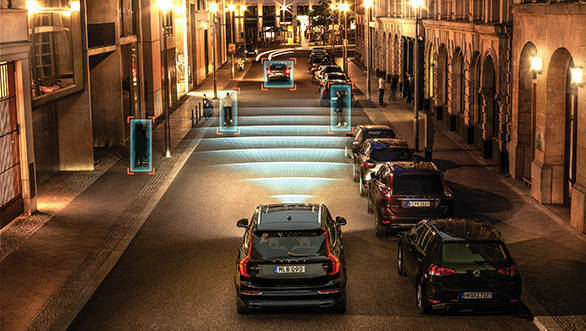 Now in its second generation, the XC90 is the first product to be based on Volvo's ground-up new Scalable Product Architecture (SPA) platform. The front looks the best with the most noticeable element being the T-shaped DRLs which symbolise an important article from Norse mythology - Thor's hammer! The side is probably the least impressive profile, but what's impressive is that it does not belie its seven-seater capacity. Nothing individually stands out at the back but as a confluence, it looks clean and tidy, when stationary or in motion. It has taken Volvo 12 years to take the knife to the XC90, and now that they have, the result is pleasing. 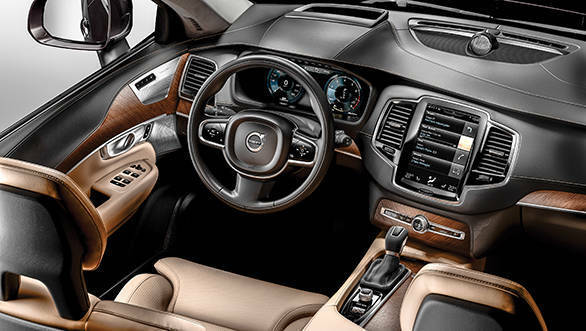 As for the interior, Volvo didn't want to deviate too much from the moderation that Scandinavians are known for, but when you step inside the car, restraint isn't the first word that comes to mind. It looks fresh and classy. And yet it manages not to shout. Now usually when we speak of this segment of cars, it's a bit redundant to talk about quality of materials or build and finish. Because as you'd expect, they're every bit top notch, almost always. 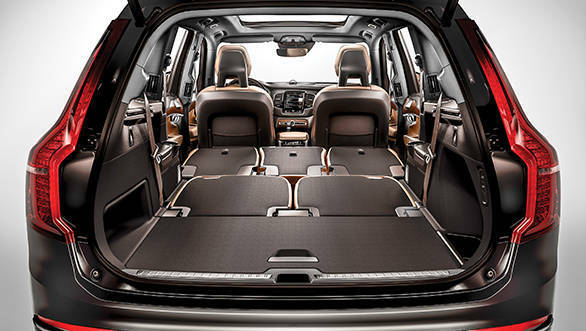 But it's worthy of mention that few enclosed spaces on the planet wrap you in such comfort and luxury as the cabin of the XC90. There are however two things that I think steal the show in this car - one, the 19-speaker 1400W Bowers & Wilkins music system that you get with the top end variant which, and I didn't think I'd say this so soon after sampling the Burmester sound system in the Mercedes S-Class, is one of the best car music systems I've ever heard. The other is the car's infotainment system that seems to have broken into the future without the usual discomfort that comes with it. 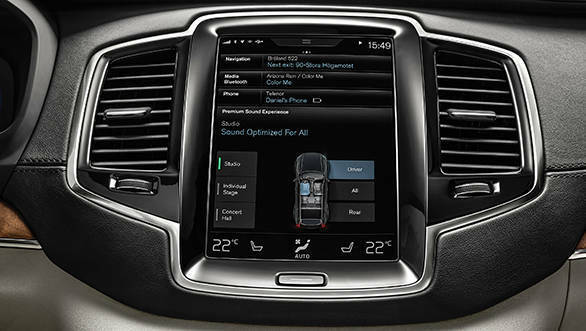 Just like smartphones have all gone from buttons to touch, Volvo thinks it's time that trend caught up with car infotainment systems. And so it sought help from human-machine interface researchers at Denmark to develop Sensus, a vertical tablet screen that controls everything - music, navigation, car systems etc and there are all but eight buttons left on the centre console. I'm quite happy to report that unlike other painful touch systems on some cars, this one is actually very tactile and intelligible  idiot proof even. 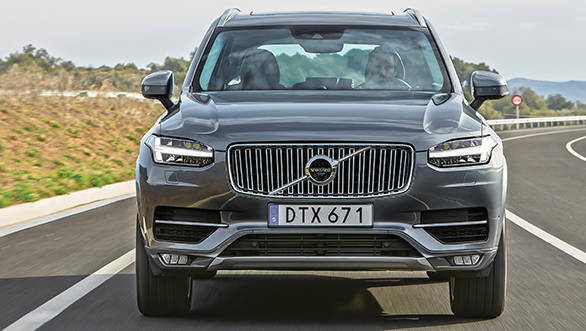 The Volvo XC90 like its German rivals  the Q7, the X5 and the GL-Class  is a full bodied seven-seater. And even though the XC90 doesn't match the sheer size of the GL, its third row manages to be incredibly usable. That's because the third row has the same seat height and the floor board is as low as the second row. In fact I'd go as far as saying it's more usable than the back seats in most compact sedans we have back in India. 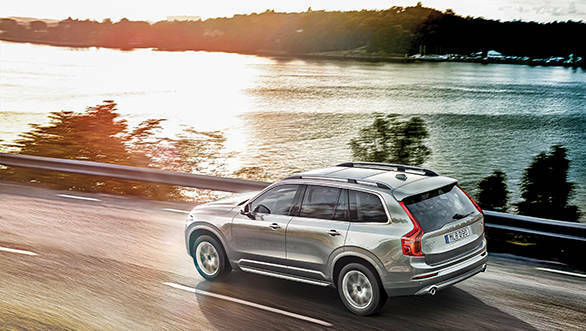 The XC90 comes in three trim levels. The basic variant is called the Kinetic and won't be offered in India. The mid variant called Momentum will be offered along with the top-end fully packed Inscription trim. There will also be a host of customisation options. Of the three globally available engines - the T6, T8 and the D5 - India will initially get only the D5 which is the diesel variant. The other variant that might make it to India, which Volvo is indecisive about, is the T8 - a petrol electric hybrid. A delicious prospect but we'll get to it when it gets here. For now let's focus on the D5. The D5 essentially has a four-cylinder turbo diesel engine that's good for 225PS and 470Nm of max torque. When you compare those figures with the XC90's rivals, they're quite modest. The other SUVs also have more powerful engine options available. But it is clear that if you're a sucker for raw power and torque, the XC90 isn't a car intended for you, and it doesn't pretend to be that either. It's performance that's adequate, not abundant. But the figure that'll matter to most Indians is the company claimed fuel efficiency of 17kmpl. ARAI hasn't confirmed that, neither have we, so let's run with that ball park figure. The smaller engine isn't just brilliant in terms of efficiency but its smaller packaging also helped Volvo devote more space to the cabin. Volvo has opted to continue with the use of Boron steel for the XC90's frame in contrast to the market trend that is moving towards aluminium. Boron steel, although heavier than aluminium, is a stronger steel alloy. Weight, however, is an issue and one that Volvo has addressed by engineering the frame in a way that has led to a 200kg reduction in overall weight over the previous generation vehicle. The XC90 comes with an optional air suspension which is standard on the top end Inscription trim. Air suspension not only is the most superior automotive suspension technology at the moment, but also allows for some allied technologies. Like the ride height adjust, which also lets you lower the loading bay area at the boot. It has a permanent AWD system too as we've come to expect in these cars. 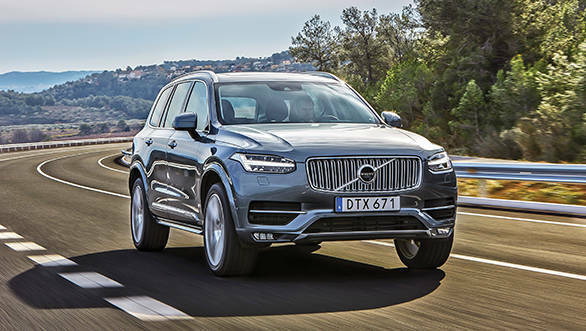 Like the Q7 and the GL-Class, it also has a dedicated off road driving mode - how much of an off-roader does it make the XC90? No more than the Power mode makes it a track monster. 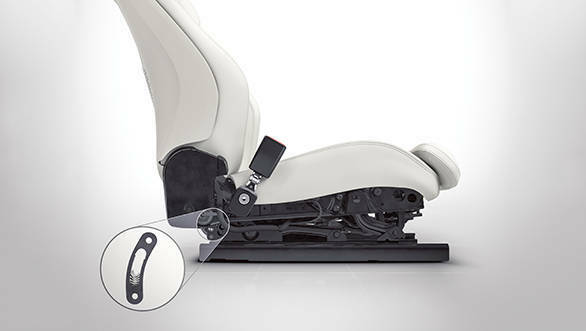 However, the chassis with the electronic support systems makes for a controlled and sophisticated driving experience. Now we've never doubted Volvo cars as stand out products, they're every bit comparable to say the German SUVs. But in India, it's always been the brand perception, desirability factor, not to mention the dealership reach that has been their downfall in terms of sales. Now Volvo reckons that the pricing of the new XC90 will be key as it promises to beat its rivals in terms of value for the same price. So if you're oblivious to everything but the product itself, and you want to buy one of the best chauffeur driven SUVs on the market, bookings open this summer.